Salmon's one of those meals I can throw together quickly. And it's one I often fall back on when making seafood. Pasta's also a favorite around here. We like carbs. Lots of them! Plus, compound butter's a great way to easily fancy up a meal. No need to let everyone know how easy it is to make! So instead of doing the usual and keeping salmon, pasta, and compound butter in separate recipes, I thought - why not combine the power of all three? 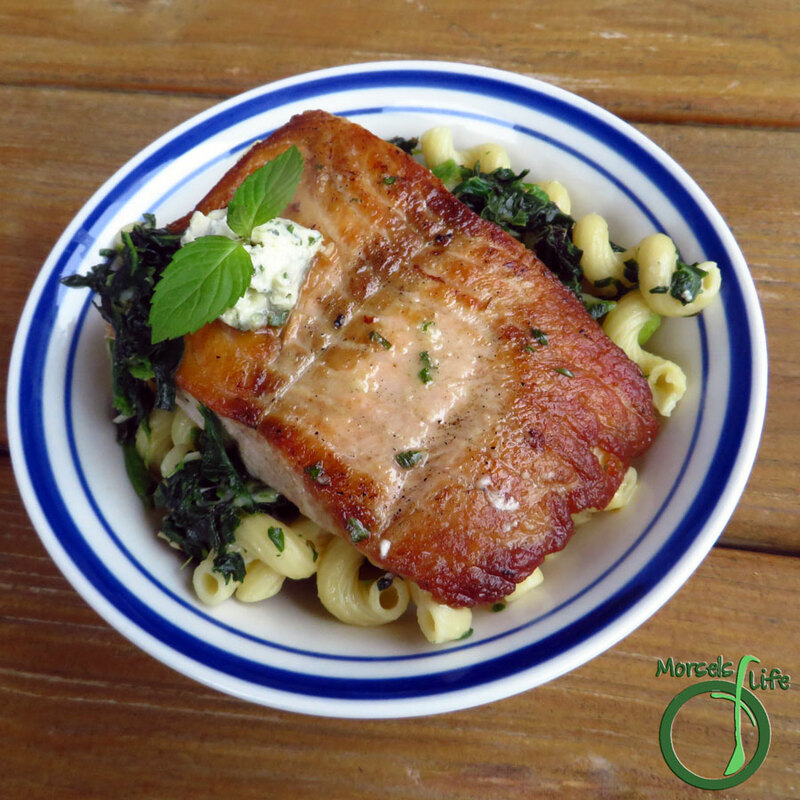 When their powers combine, you get a scrumptious seared salmon and lemon herb whipped butter pasta! 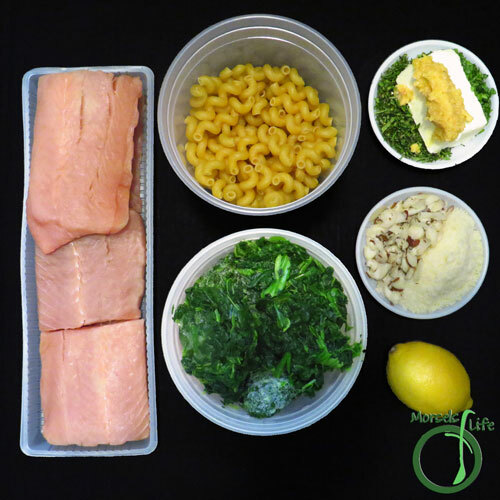 What's your favorite way to level up a meal? 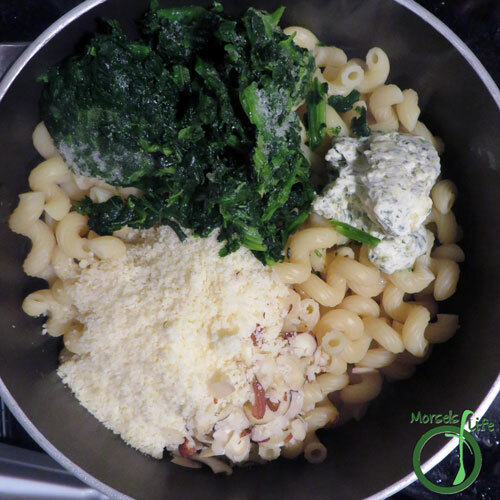 Level up your usual pasta with some lemon herb whipped butter and spinach. Top it off with freshly seared salmon. It's easier than you think! 331 grams 11.75 ounces spinach I used frozen. 2 teaspoons 2 cloves garlic, minced For compound butter. 1 lemon, juice For compound butter. 1/4 cup 1 bunch parsley, finely chopped For compound butter. 1 bunch mint, finely chopped For compound butter. 56 grams 2 ounces 4 tablespoons 1/2 stick butter For compound butter. 2. 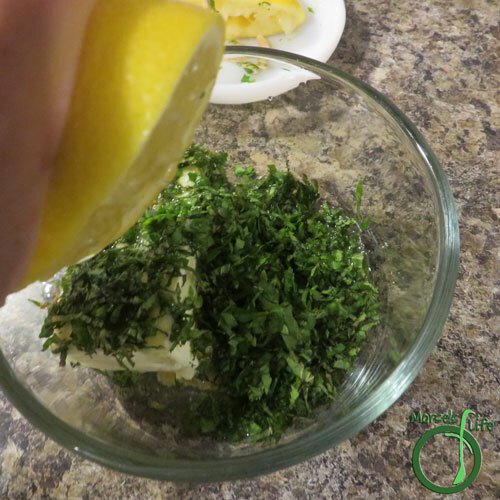 Make compound butter by combining butter, lemon, mint, garlic, and parsley. To make whipped compound butter, simply whip the butter to combine materials instead of just stirring together. Or use a pre-made compound butter. 3. 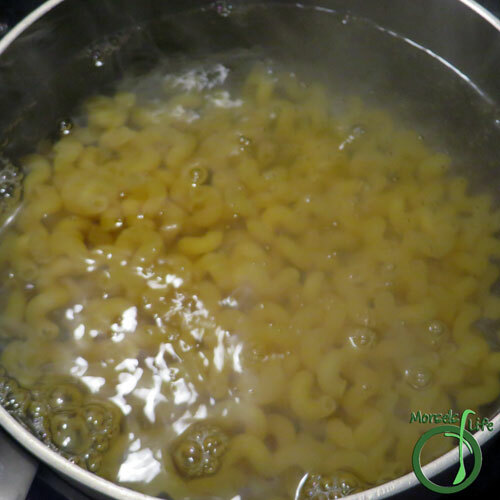 Cook pasta following package instructions. 4. 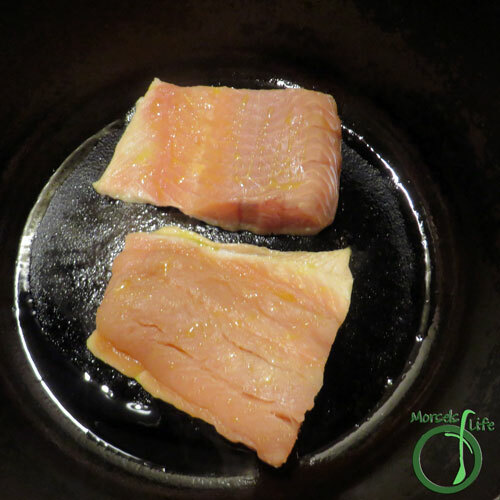 Cook salmon in a bit of oil for approximately 3-4 minutes on each side, until browned. Salmon and pasta are favorites here too, that looks delicious! This dish looks tasty & delicious. Thanks for sharing. Our family loves salmon! We're going to have to try this soon. Do you put salt and pepper on the salmon? Thanks for sharing at Turn it Up Tuesday! Then you'll definitely enjoy this salmon pasta! :) I did use a little salt, but opted out of pepper this time, and you can easily season to taste. :) Hope you enjoy! 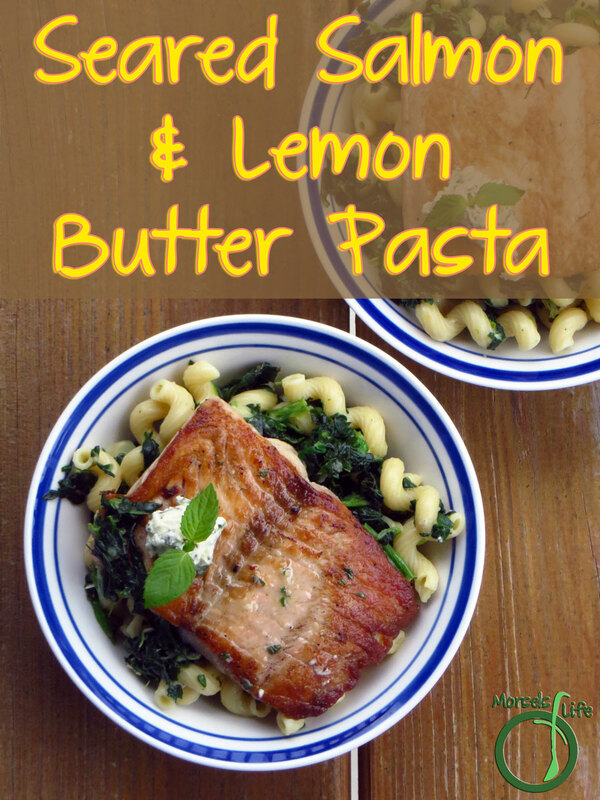 You can't go wrong with a good compound butter, this salmon and pasta dish sounds delicious! Thanks for sharing at What'd You Do This Weekend?! Don't you love how a simple compound butter can make everything so much better? :) Of course, it is butter. :P Thanks for stopping by! Yum, this salmon and pasta recipe sounds great CJ. Thanks so much for visiting Inspiration Thursday! 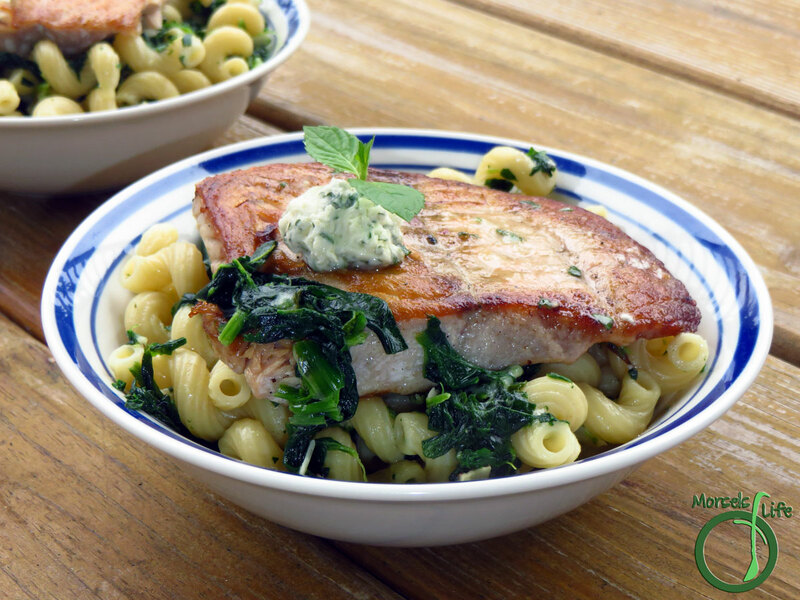 I love how you put the salmon over the cavatappi! Delicious. Thanks for sharing at #WonderfulWednesday! Makes me think it's like a fancy pasta without extra work. :) Hope you enjoy!